Most successful cheer or gymnastics school owner-operators find that, as their business grows, they have less and less time to work with students, spending more and more time with the business of managing the business. It’s for this very reason that we created Cheer ClassJuggler — to help gymnastics and cheer school owners get back to the very thing that got them excited about doing business in the first place – helping their students increase their skills and confidence. Easily manage recurring bills and membership fees with no double-entry—no entry at all, since ClassJuggler integrates your customers’ payment history and class records with the billing features – bill all of your customers with just a few clicks! 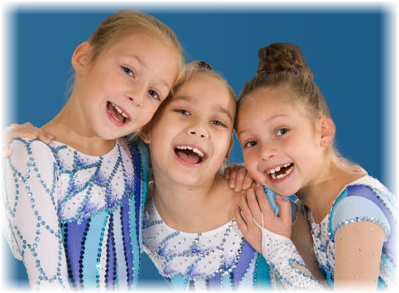 ClassJuggler’s cheer camp and gymnastics school management platform supports the unique business needs you face as an owner or operator of a training studio that must gracefully and efficiently manage classes, customers, and students. To learn more, go to http://www.cheerlassjuggler.com/ or contact us. This entry was posted in About ClassJuggler, Cheer ClassJuggler and tagged cheer camp management, gynastics school management, online school software on August 30, 2015 by classjuggler. No, you don’t always get stronger on the days that everything comes easily to you. This is true of a gymnasts, equally true of a gymnastics school operator. Turn to Cheer ClassJuggler to be stronger in the operation of your studio. Share this great quote with your students! This entry was posted in Cheer ClassJuggler, Motivation and tagged gymnastics, hard times, Nastia Liukin on August 20, 2015 by classjuggler. Check out ClassJuggler Dance for dance studio owners or Cheer ClassJuggler for gymnastics & cheer school owners. And share this image with your students! This entry was posted in Cheer ClassJuggler, ClassJuggler Dance, Motivation and tagged body movement, cheerleading, dancing, gymnastics on August 17, 2015 by classjuggler.